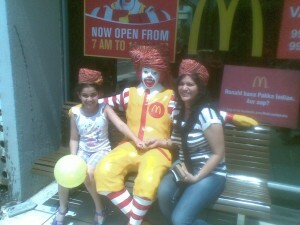 How Does McDonalds Manage its Supply Chain in India ? 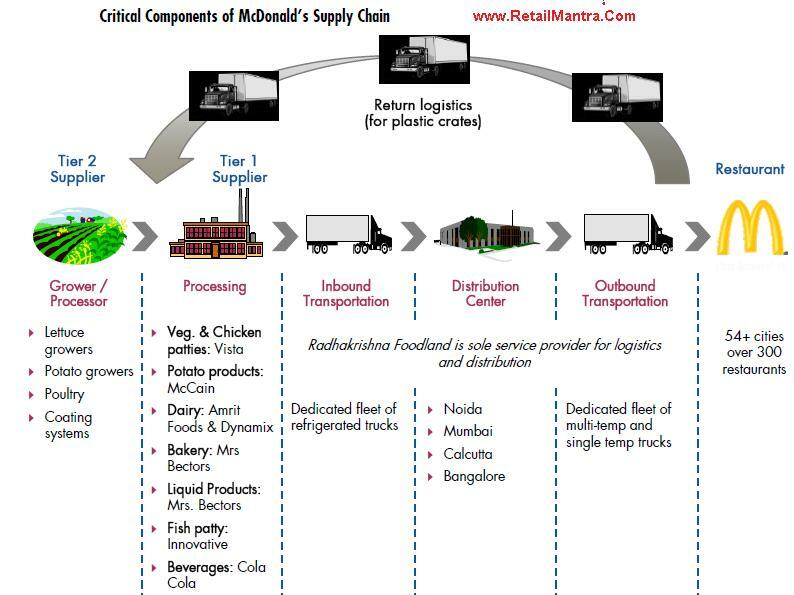 McDonald’s supply chain facilities include the chicken patty plant (Vista Processed Food Pvt. Ltd.), cold chain distribution center (Radhakrishna industries) and over a dozen vendors and suppliers. We present insights on the close interdependence between key vendors and McDonald’s, which is a long term competitive advantage, complex supply chain which is vital to support its growth acceleration phase, and ability to manage inflation through transformation of agricultural practices and supply chain optimization. McDonald’s offers its key suppliers long term sustainable and profitable growth. The backbone of McDonald’s operations is built on a unique farm-to-fresh cold supply chain. McDonald’s Corp (US) itself invested Rs 4.5 bn to develop the supply base which took nearly 6 years before the first McDonald’s restaurant was opened in India in 1996. Over time, McDonald’s, in partnership with suppliers, have optimized major supply points – either close to the raw material or markets, achieved 90% local sourcing for inputs and scaled up capacities that can support growth till 2017. As per the company, it has achieved 90% indigenization in McFries compared to complete imports prior to 2008. However, Fish continues to be imported as India’s supply chain cannot ensure consistent supply. In the Next Part, we’ll discuss the key points on how McDonalds has managed to beat the Inflation of India keeping its prices Competitive and Grow.